Keeping yourself healthy should be one of the people’s priorities but then again, they are too preoccupied making their daily profit. In fact, obesity is one of the most challenging obstacles that people these days have to face. Furthermore, they tend to neglect the importance of working out and following proper diet. Though it can be difficult to find time working out, it should have a dedicated slot in our everyday lives. This includes eating the right foods and avoiding those that may cause harm to the human body. The great thing about modern technology is that mankind has invented countless exercise equipment that will help in man’s quest in living a healthy lifestyle. 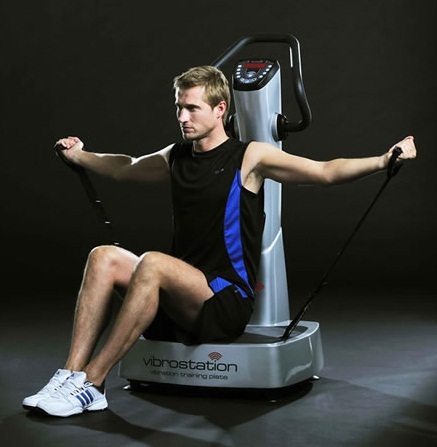 And one of the most effective exercise equipment that they have developed is the exercise vibration plate. However, without the proper knowledge to utilize it, you will not be able to get the most out of it. There are actually steps that you should practice in order to be able to take advantage of it effectively. First, you should stand onto the machine with your shoulders and both feet hip-width apart from each other. Make sure that your legs are slightly bent or else it may cause some side effects toward your body. Also make sure that you hold on to the railings for support. Also turn on the machine by pressing the button on the LCD monitor with slow vibration so that you have time to balance your body. You are free to spend at least around five minutes to test out the different levels of vibration. You can also check the various hand alternatives too. In time, you will find the right one that will work for you. Vibration Training is one of the most exciting technological advances in the fields of sports medicine, rehabilitation, general wellness/health and athletics in many years. By using the principles of Vibration Training, many people can improve sports performance, enhance current fitness and wellness levels, and even accelerate recovery from injury.